FSA has accumulated over 60 years of local surveys dating back to 1941. Our firm was founded in 1941 by J. Harold Seibert RLS, PE. Mr. Seibert was the appointed County Surveyor for Washington County, Maryland from 1941 through 1972, when the State of Maryland abolished the County Surveyor’s system. Today FSA employs eight experienced surveyors and technicians. Their dedicated work ethic and concern for accuracy has contributed to FSA's reputation for reliability. They have produced thousands of surveys in the area. We at FSA would welcome the opportunity to provide our surveying services to your organization. Our firm has specialized in surveying work for nearly seventy years, and we will continue to offer our clients accurate, timely, and cost effective surveys. 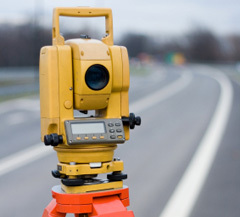 Please contact us with any of your surveying needs.